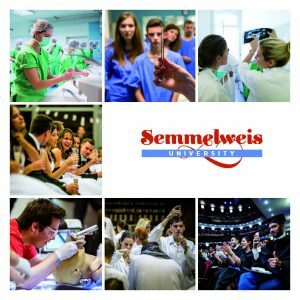 More than 2700 students can begin their studies at the six faculties of Semmelweis University this September. 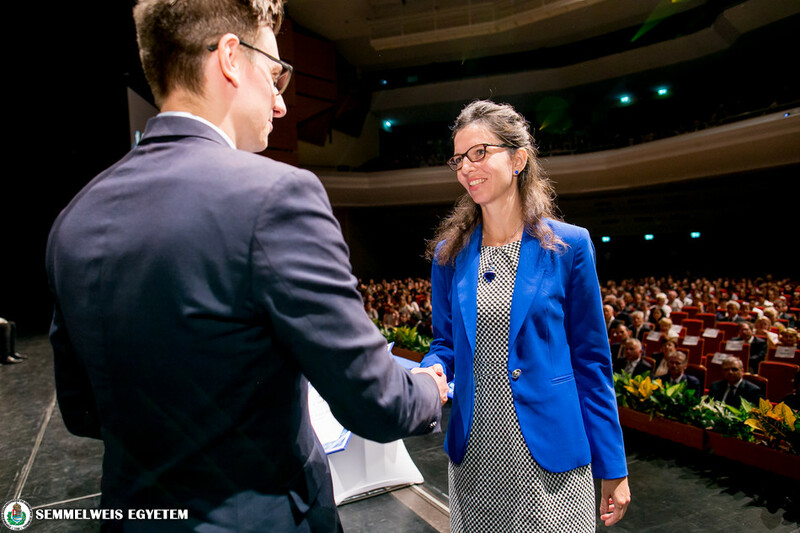 Among the first year students, more than 500 will study in the English language programme and approximately 270 in the German language programme. 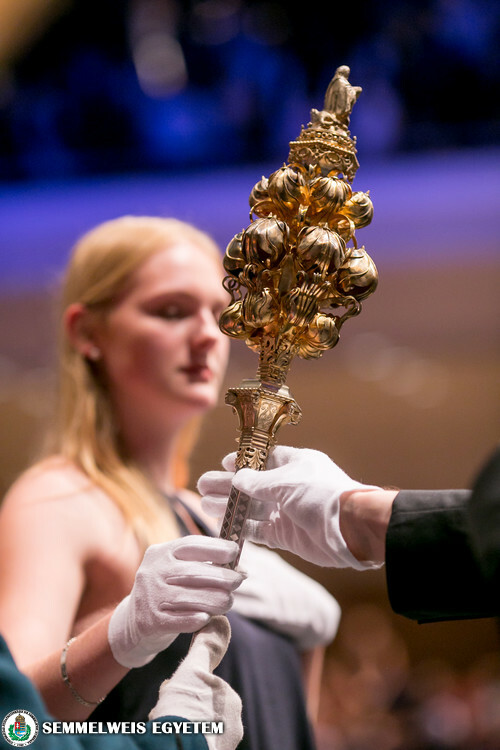 At the opening ceremony held on the 249th anniversary of the foundation of the university, students took the solemn oath in three languages, and several members of the university were granted awards. ‘You made a good decision by choosing a wonderful profession, the profession of helping others’, started his ceremonial speech Dr. Béla Merkely. 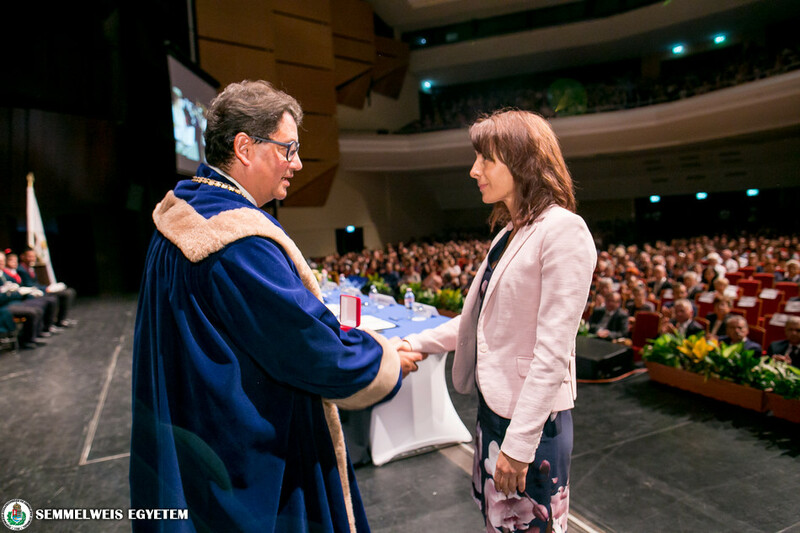 The rector of Semmelweis University congratulated the newly admitted students and emphasized that Ignác Semmelweis’s legacy must guide all Semmelweis citizens throughout their career. 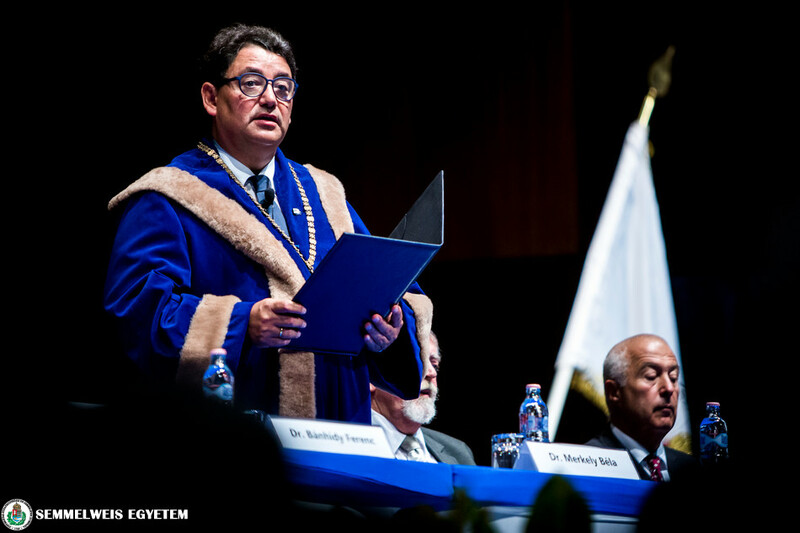 ‘I took office as rector on Ignác Semmelweis’s 200th birthday, and I took oath to promote the reputation of Semmelweis University with all my strength, to enhance its development, to preserve its values and traditions, and to help the students and employees of the university’, said Dr. Béla Merkely. 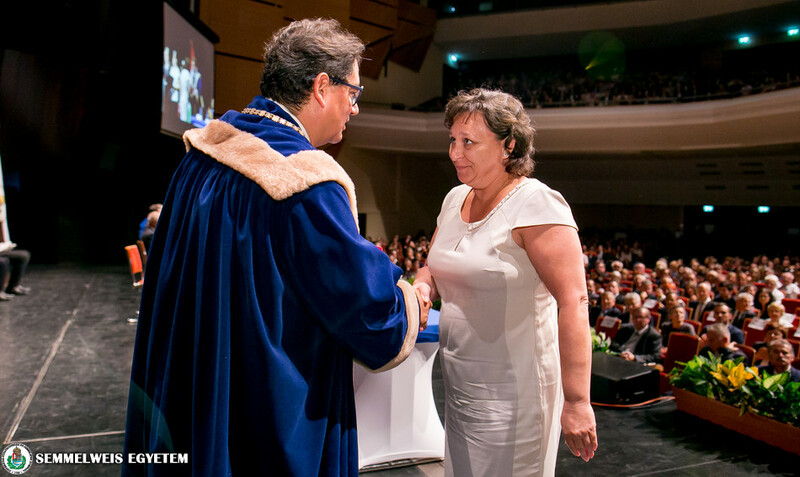 The Rector emphasized that these efforts can only be successful in cooperation with the members of the university. 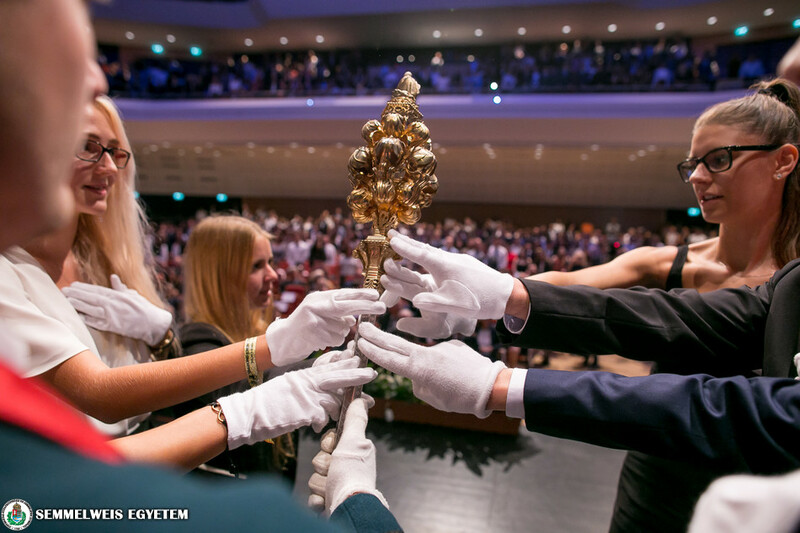 He said to newly admitted students, preparing them for the difficulties: ‘there will be all-night studying and failures, but you will have to experience and learn from all of them’. 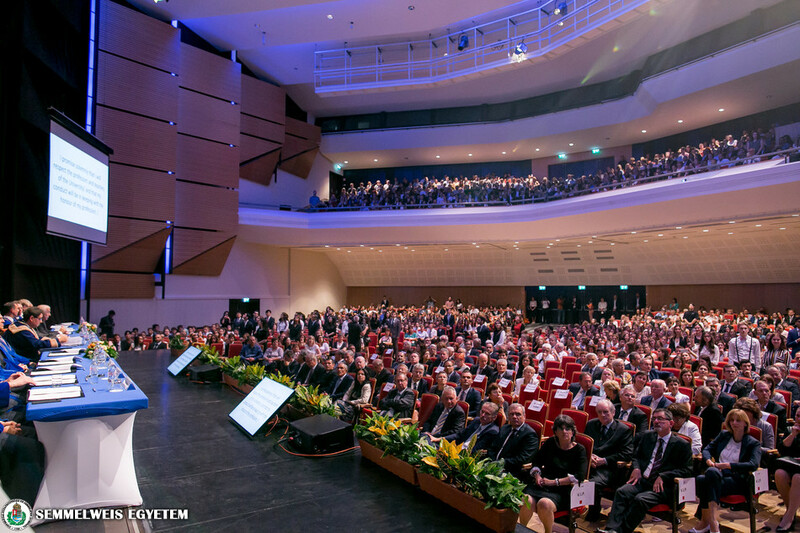 In his speech, Dr. Béla Merkely reminded the audience that Semmelweis University is the flagship of biomedical education, research and healthcare in our country and region. 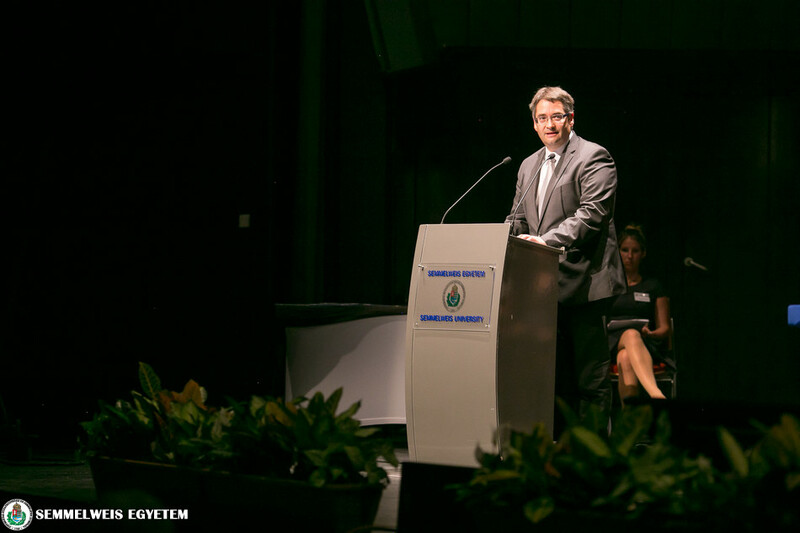 The Rector also talked about the significant results of the university in his opening speech. ‘Many of the first medical interventions in our country were performed at Semmelweis University, such as the first successful kidney, liver and heart transplantations, the first artificial heart transplantation, and the first Cochlear implantation. 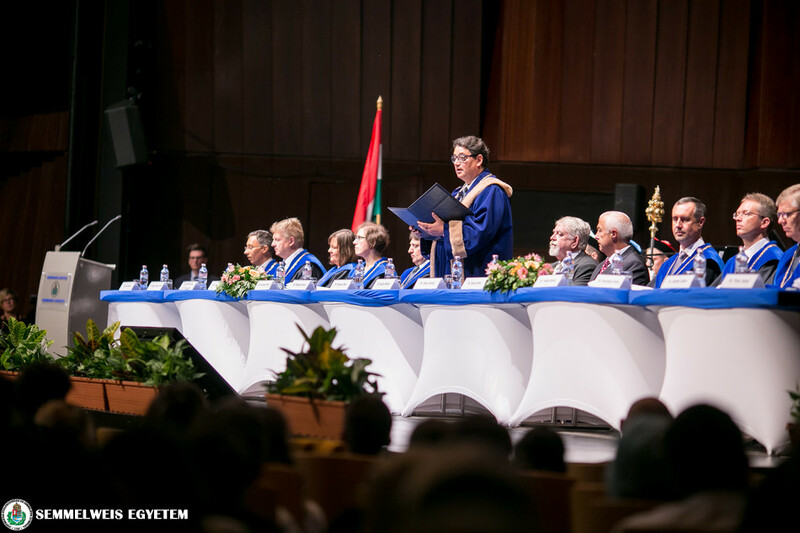 Among the publications in the most prestigious periodicals, our university is in the second place, following the Hungarian Academy of Sciences’, he said. He stressed that besides infrastructural developments, real value at the university is given by the life paths of teachers and students, which overcome generations and create workshops. 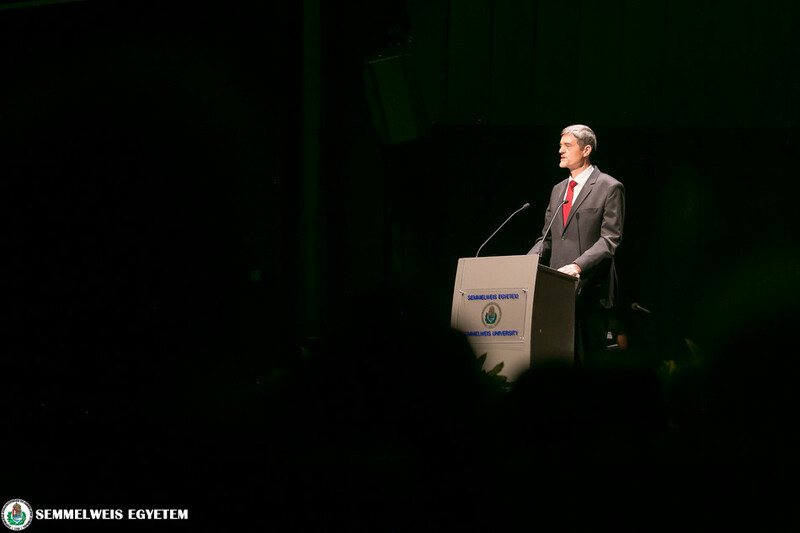 At the end of his speech, he commemorated his own masters, Professors Sándor Juhász-Nagy and Zoltán Szabó. 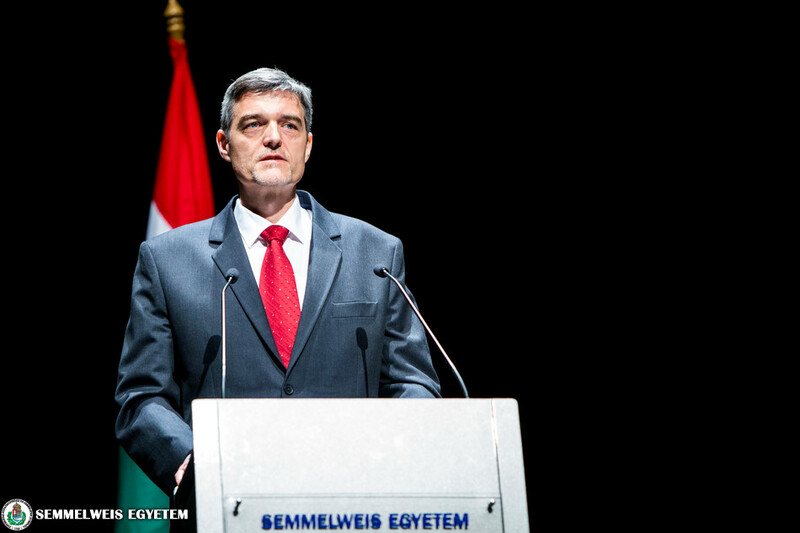 A ceremonial speech was also given by Dr. Miklós Kásler, Minister for Human Capacities, who emphasized that Ignác Semmelweis is called the saviour of mothers, the benefactor of humanity, his statue stands in the Chicago marble hall of the ten greatest physicians because he saved the lives of millions of mothers and babies. ‘The highest values of humanity’s spiritual history were summed up in his personality. His career, spirit and struggles ran parallel to the lives of the greatest figures of the reform era and the war of independence. He sacrificed his own health for countless human lives, for the integrity and happiness of families’, he said. 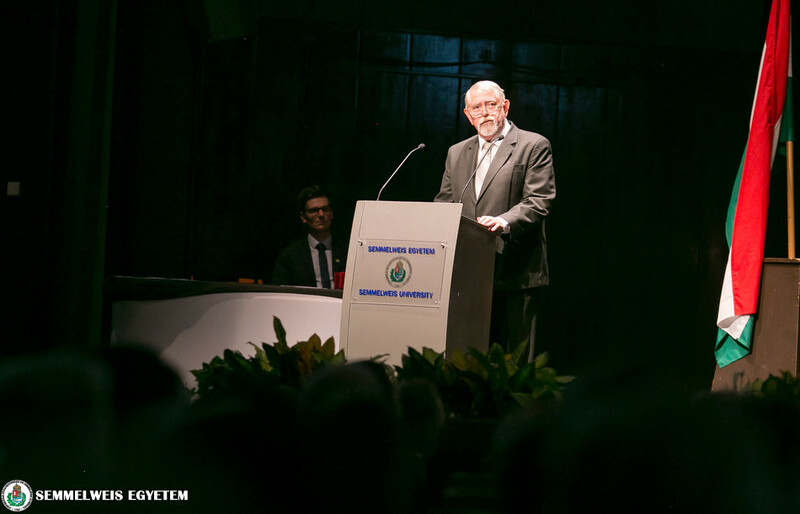 Dr. Miklós Kásler stressed that Semmelweis’s spiritual descendants are today’s professors of Semmelweis University and reminded the students that they are the future, they will be trusted with a nation’s health and life. 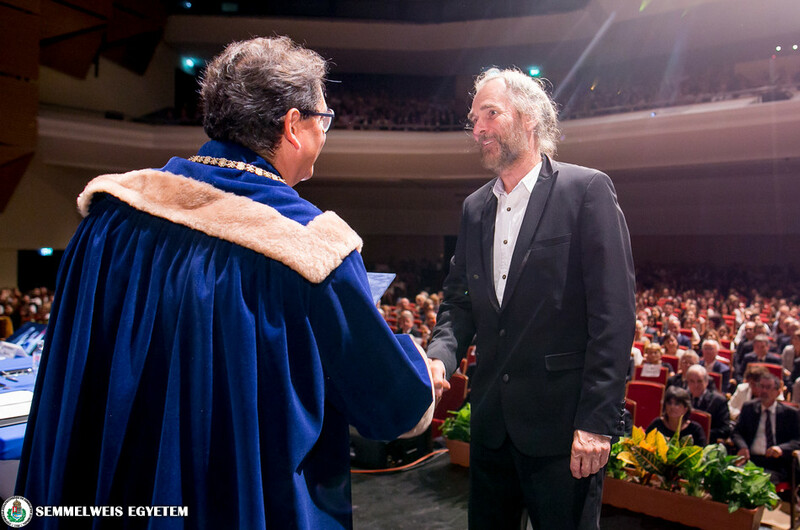 ‘Embrace the necessary knowledge of modern science, work and live according to your predecessors’ ethics’, he said. 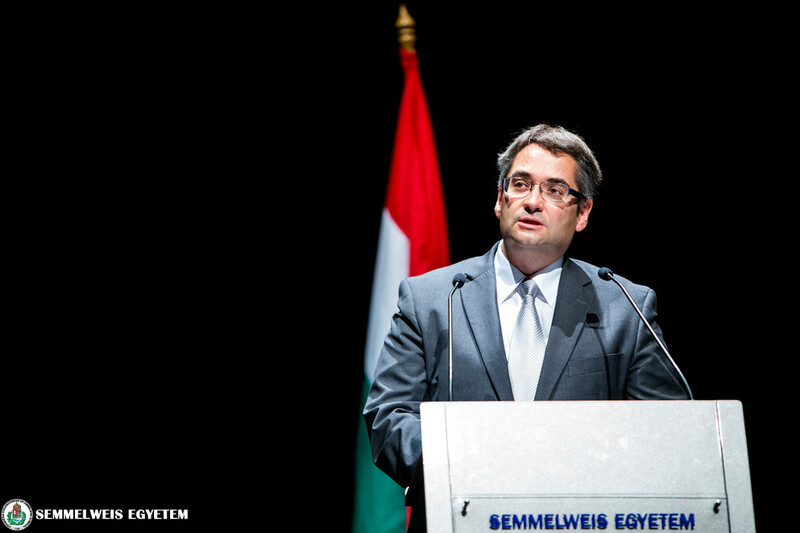 Minister Kásler added: ‘the Hungarian Government, after the major developments made so far, will support Semmelweis University and all Hungarian universities with never-before-seen funds in the following years’. 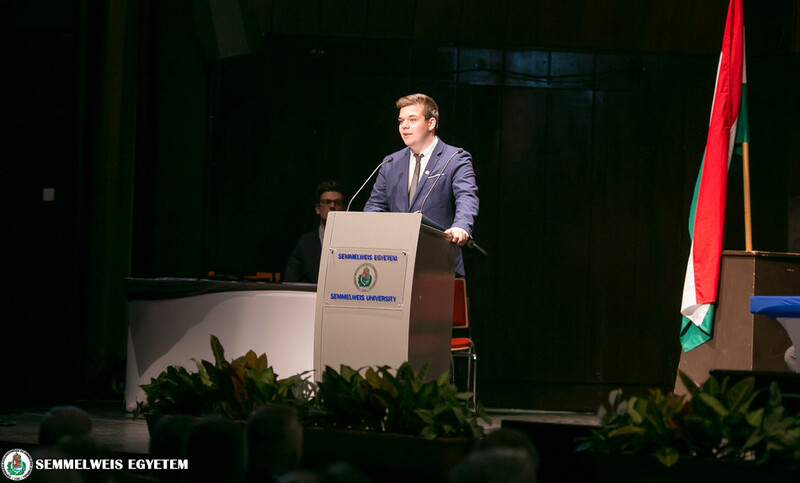 On behalf of the students, Tamás Hegedűs delivered a speech. 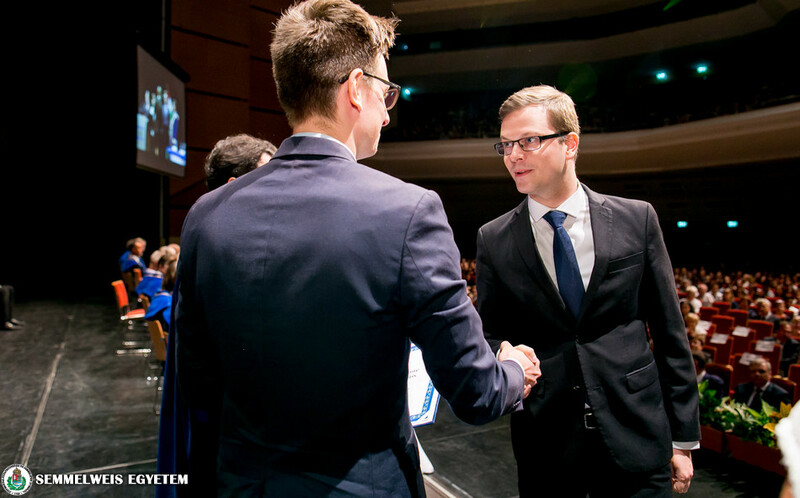 The president of the Students’ Union of the Faculty of Dentistry ensured the newly admitted students that they made the best decision of their lives when they chose Semmelweis University as the venue of their studies. He said, ‘in life, the time for change always comes, and you have just stepped on that path. This path will not be rough and desolate, but beatific and inspirational’. 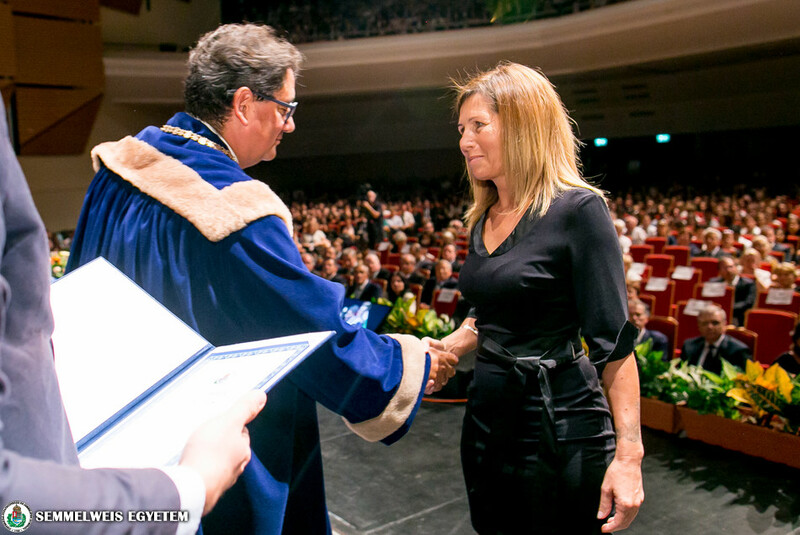 He also pointed out that the most difficult phase or obstacle in the course of studies will not be the anatomy exam, pharmacology or biophysics; he believes that we always fight the hardest struggles with ourselves. The first year students of the German language programme were greeted by Dr. Attila Mócsai, Director of the Foreign Language Secretariat. 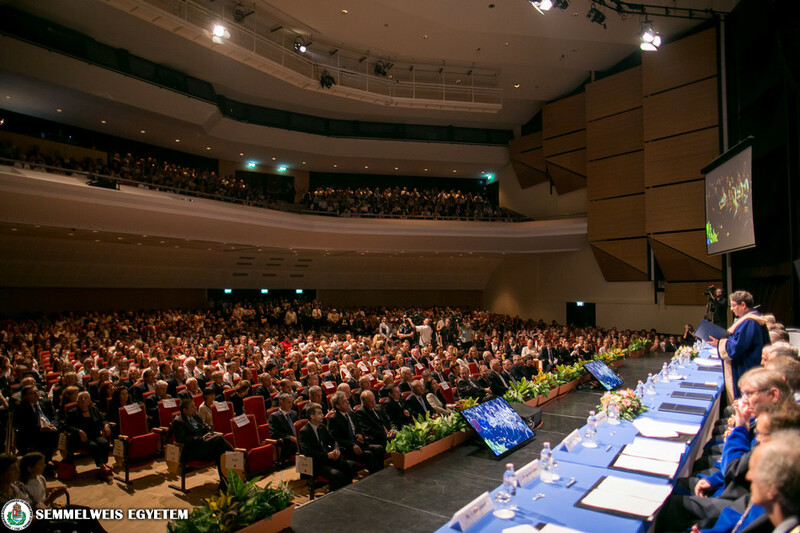 He said that the following years will probably be some of the most beautiful and exciting years of their lives, during which time they will be able to master the science of medicine and learn about the culture of a new country. 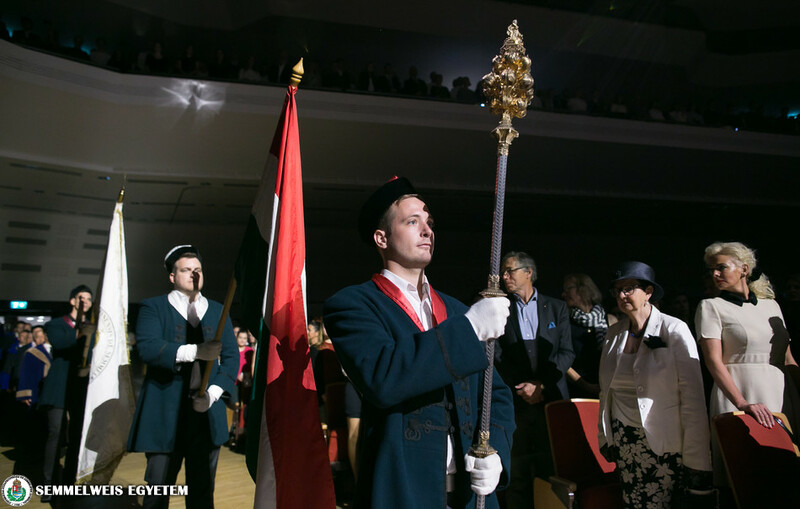 They will have many rights but also serious responsibility because they will have to be involved in the future of Semmelweis University, patient care and medical science. Finally, he wished a lot of joy and enthusiasm to the first year students. Foreign students were greeted in English by Dr. Miklós Csala, professor at the Department of Medical Chemistry, Molecular Biology and Pathobiochemistry. 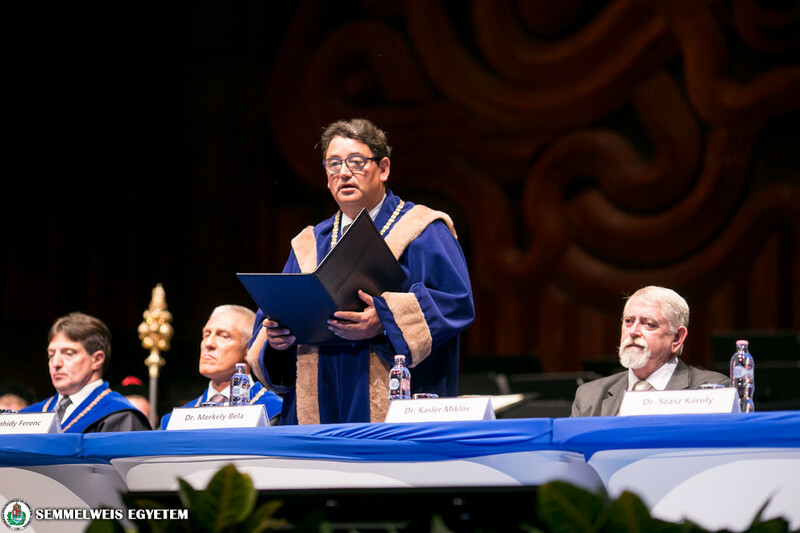 He said that Semmelweis University has been performing the three-fold mission of education, research and patient care for almost 250 years, and its prestige goes far beyond the borders of the country. 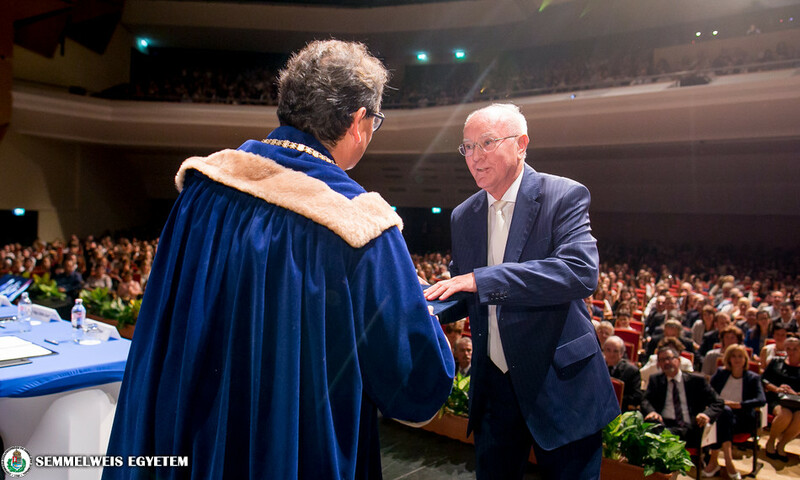 He reminded the audience that foreigners have been able to study at the institution for 36 years, and more than 1700 students are currently participating in the English language programme, coming from dozens of countries in five continents. 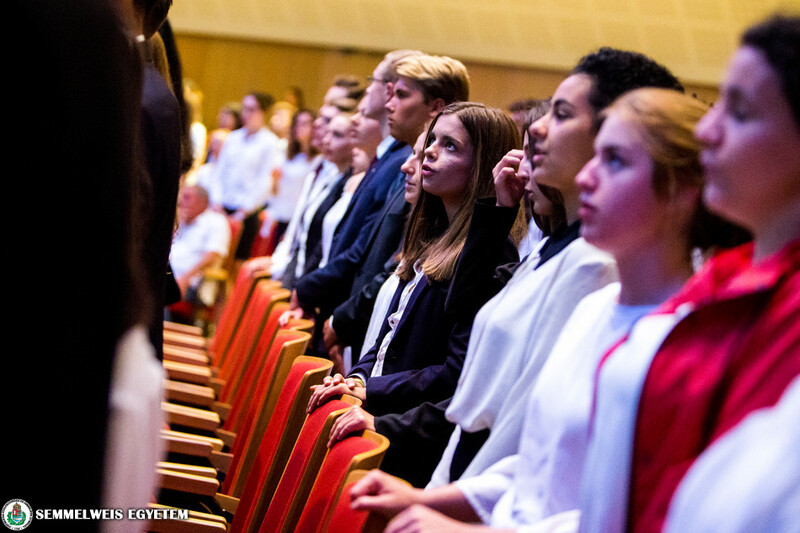 In his speech, he greeted the first year students and emphasized that whatever they do from now, they do it as Semmelweis students. 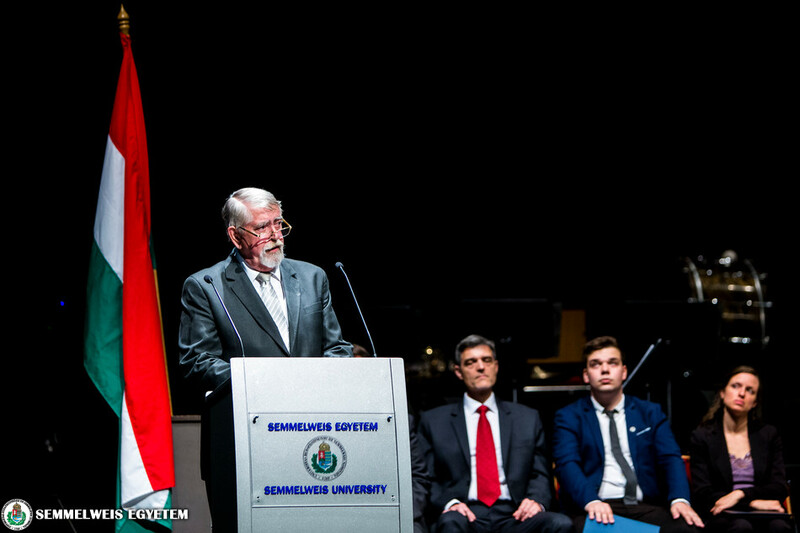 They should be proud of the university and make the university proud of them, said Dr. Miklós Csala. 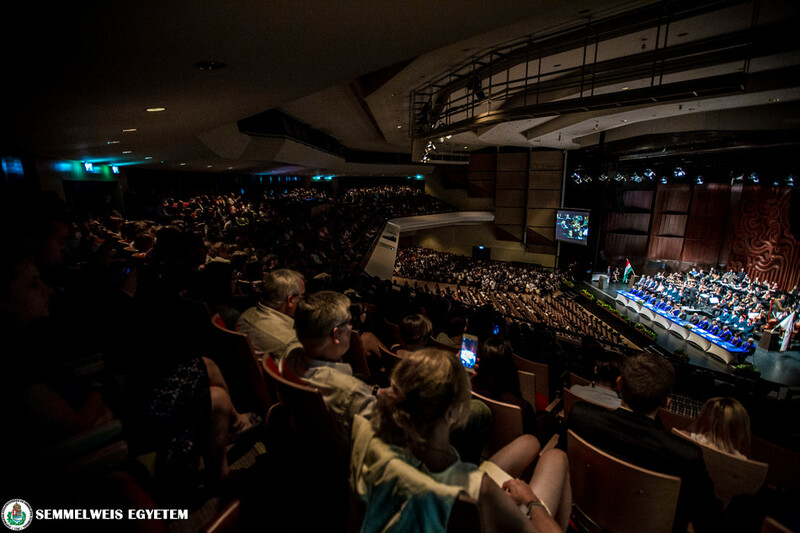 After the speeches, students took their solemn oath in three languages, followed by the presentation of awards. 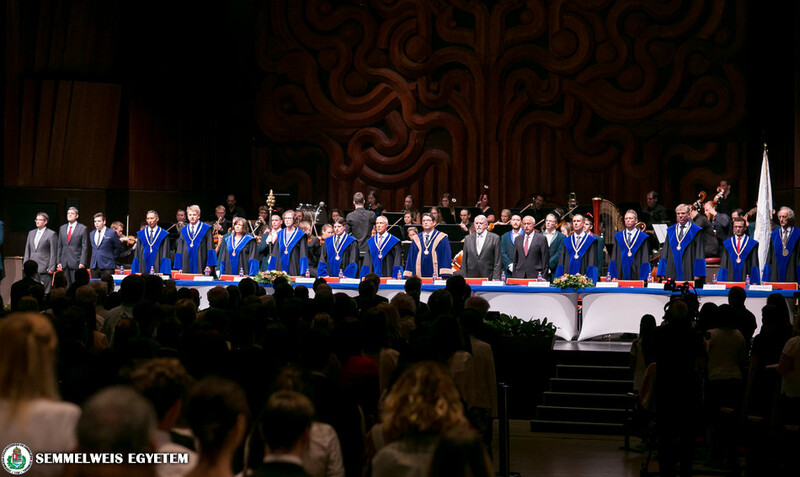 Eight university teachers were awarded for their commitment towards the university and their outstanding educational activities. 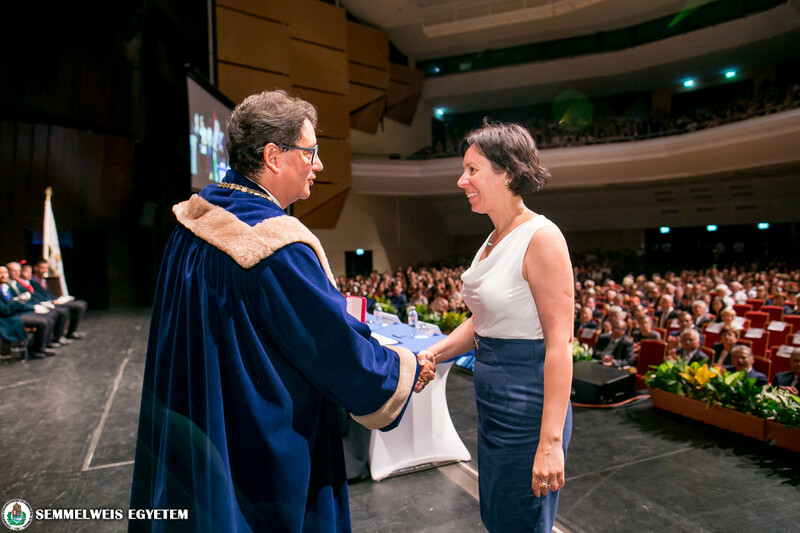 The awards were conferred by Rector Merkely to Dr. Krisztina Hagymási (2nd Department of Internal Medicine), Dr. Erzsébet Kató (Department of Pharmacology and Pharmacotherapy), Dr. Zsolt Rónai (Department of Medical Chemistry, Molecular Biology and Pathobiochemistry), Dr. Szabolcs Béni (Department of Pharmacognosy), Dr. Enikő Vasziné Szabó (Department of Conservative Dentistry), Andrea Friedrichné Nagy (Department of Physiotherapy), Dr. Erzsébet Mák (Department of Dietetics and Nutrition Sciences) and Dr. Éva Belicza (Health Services Management Training Centre). 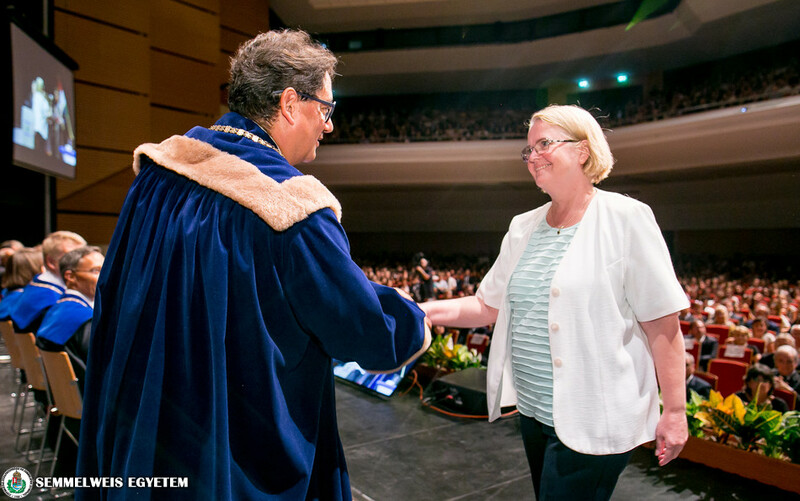 Professors whose outstanding commitment has greatly contributed to the high-standard realization of the University’s educational objectives are awarded with the Pro Universitate Award. 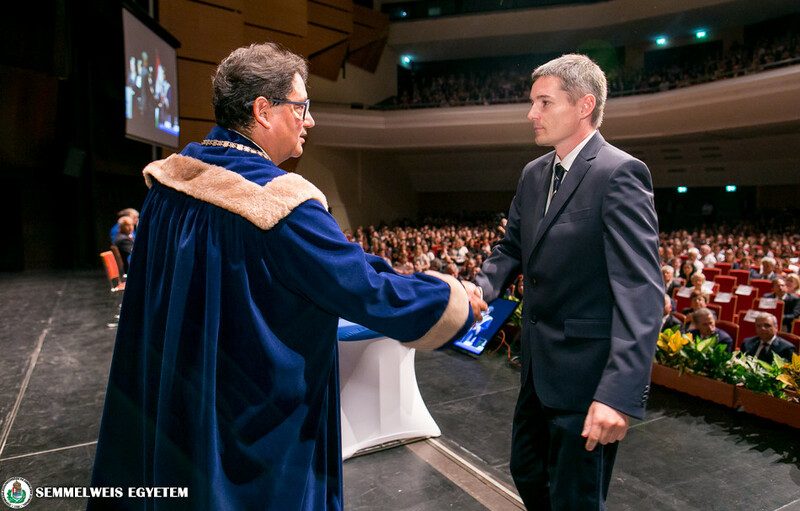 The awards were conferred by Rector Merkely to Dr. József Blazsek (Department of Oral Biology) and Dr. György Szilágyi (Occupational Health Services). 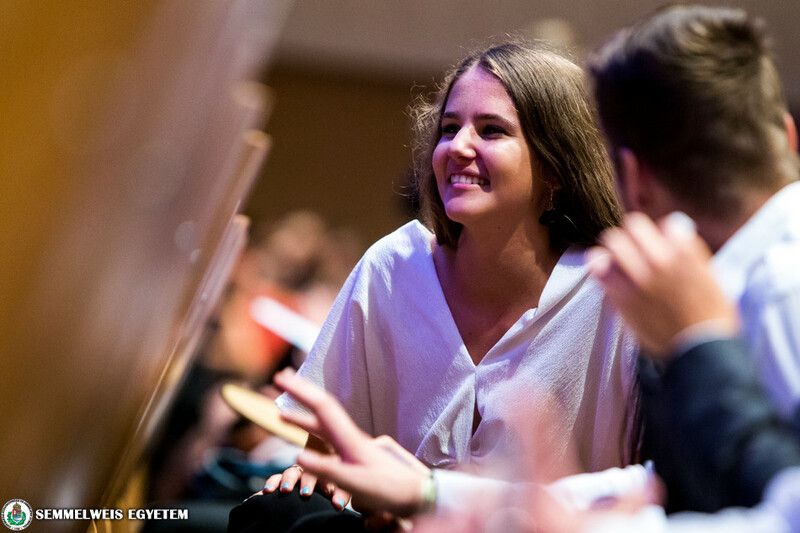 The assembly of the Students’ Union granted the Pro Juventute Universitatis Award in the 2017/18 academic year as a recognition of the hard and efficient work done for the students of the university. 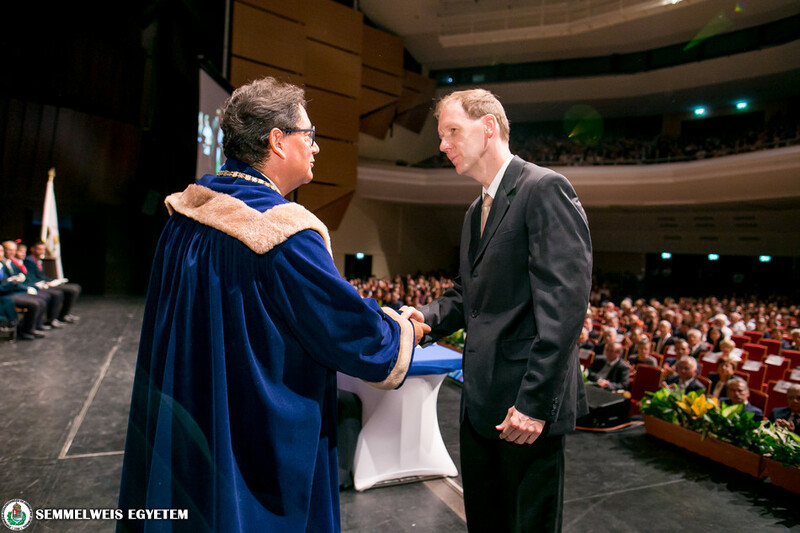 The awards were conferred by Dr. Béla Merkely, Rector, and László Kósa, President of the Students’ Union of Semmelweis University. 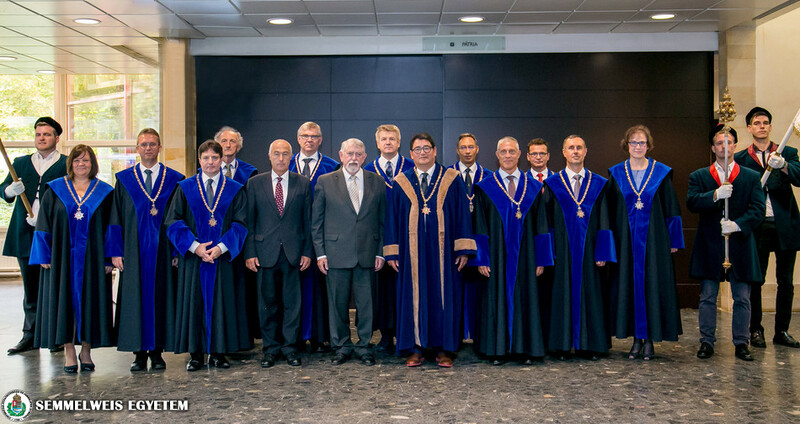 The awardees were: Dr. Gergő Báthori, former president of the Students’ Union and of the Students’ Union of the Faculty of Medicine, Dr. Viktor Erdősi, former president of the Students’ Union of the Faculty of Pharmacy, Dr. Bence Kuron, former acting vice-president of the Students’ Union and former president of the Students’ Union of the Faculty of Medicine, Dr. Ildikó Vágó, former international rapporteur of the Students’ Union, Dr. Péter Vámosi, former president of the Students’ Union. 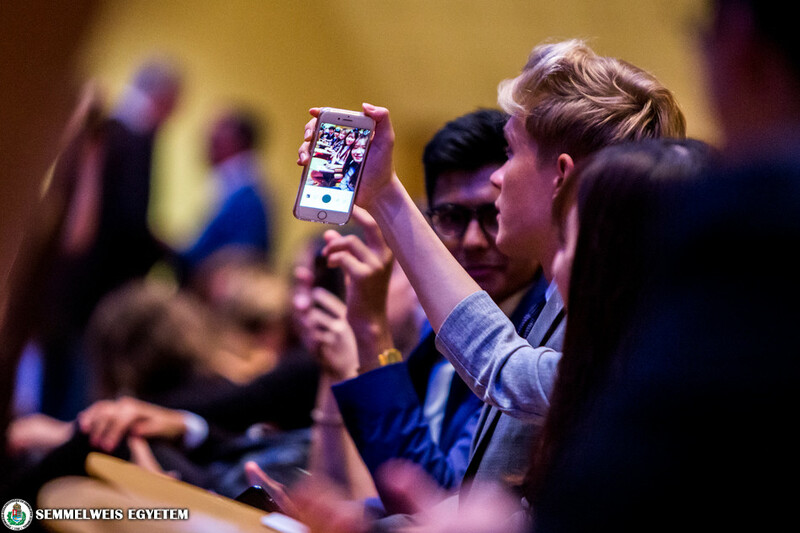 The assembly of the Students’ Union may exceptionally grant the Pro Juventute Universitatis Award to persons who have not been students of the university. 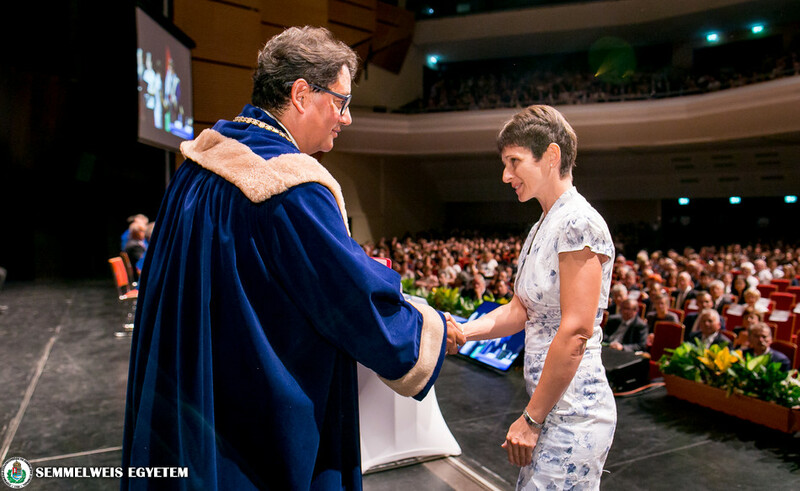 Based on the decision of the assembly, Dr. Judit Hegedűs, Director of the Basic Medical Science Centre, was granted the award. 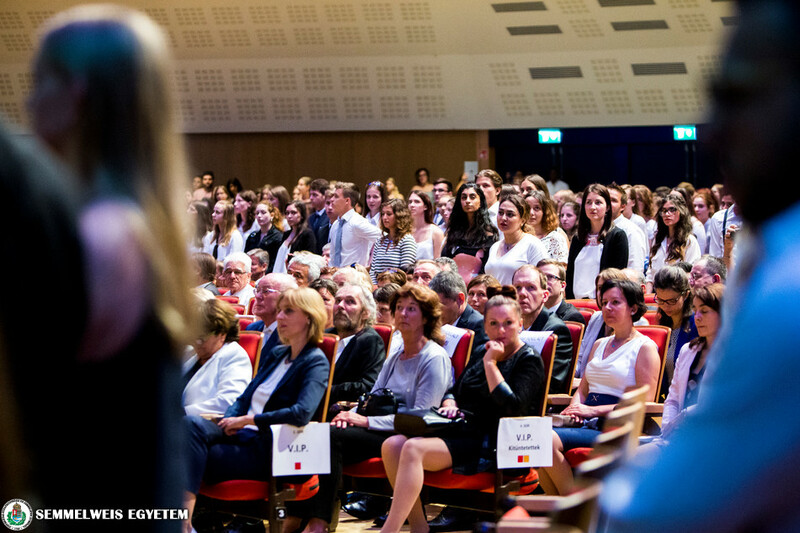 At the Opening Ceremony, the names of all the students who had won this year’s National Higher-Education Scholarships were announced. 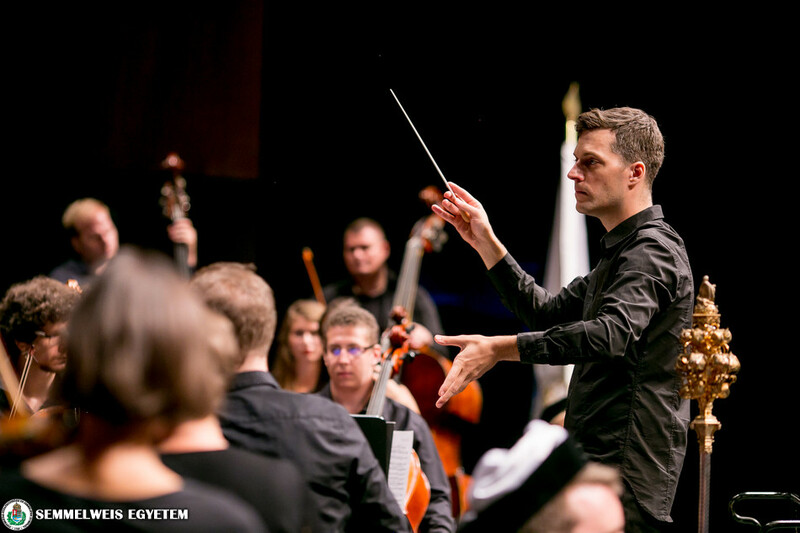 According to traditions, the closing act of the ceremony was the performance of the Medic Orchestra, who played Les Preludes by Ferenc Liszt. If you find it interesting, share it!